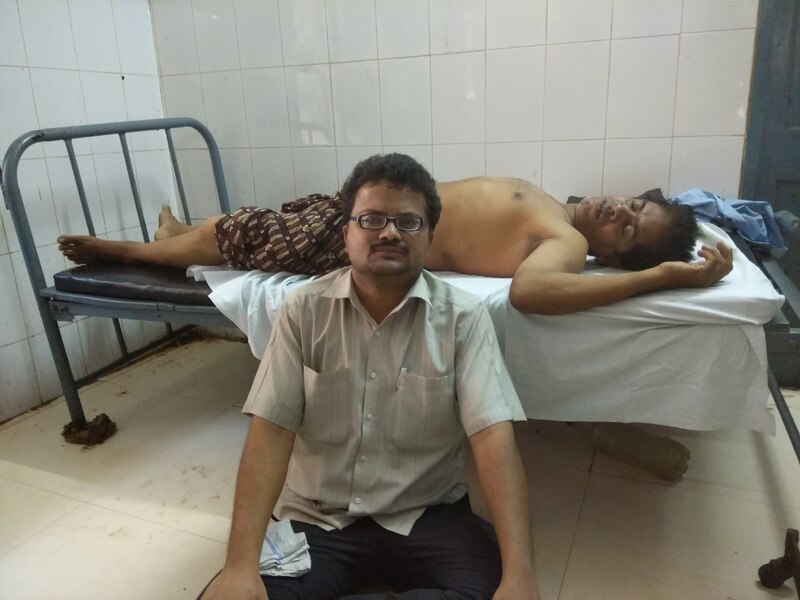 AGATSINGHPUR Jan 20. 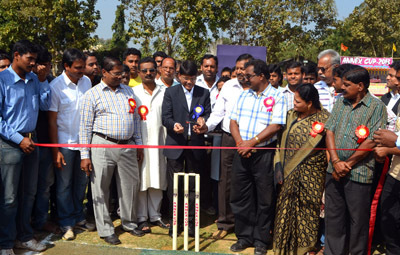 The Hindustan sporting sponsored state level cricket tournament Annex Cup- 2013 was inaugurated by district collector in S V M College play ground here on Saturday. 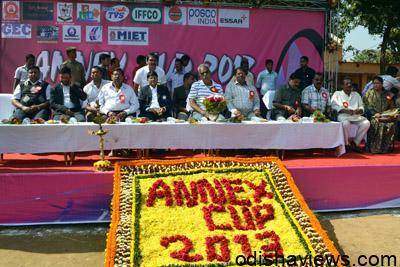 The inaugural match was played between Solar cricket club, Cuttack and Maa Mangala cricket club. Solar cricket club won the toss and elected for bat and scored 173 runs spearing all wickets in 27 over, on reply the defending team managed to score 166 runs spending 9 wickets in stipulated 30 over and Solar emerged victorious in 8 runs progressed to participate in semi final match. The inaugural event was attended by zilla Parishad president, municipality chairman, SVM College principal. 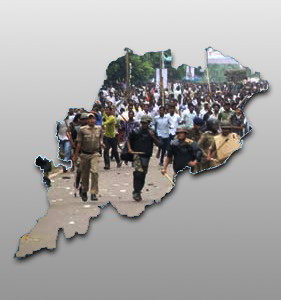 Agitation at Paradeep refinery site ends, after IOCL authority promised to give compensation to deceased kin.